>> Grace K. Austin, M.D. 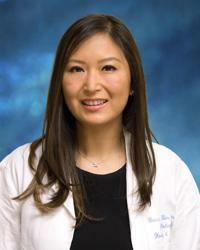 Grace Kim Austin, M.D. completed a seven-year residency program in otolaryngology/head and neck surgery at the University of North Carolina that included two years of National Institute of Health-sponsored research studying head and neck cancer and reconstruction of facial defects. Following that, she specialized in facial plastic and reconstructive surgery at the Quatela Center for Plastic Surgery in New York. Dr. Austin feels it is an honor that patients trust her with the visual appearance of their facial features. Her goal is to enhance appearance and restore function while achieving natural and beautiful results.